The festive season is fast approaching and if you’re planning a cruising Christmas holiday there are a few things you should know about when driving abroad. 1. Plan ahead. That includes maps, apps and other devices that you can use to make sure you get to where you want to be. 2. Make sure that you have a good understanding of the motoring laws of the country that you are visiting. Portuguese traffic officers do not accept ignorance as an excuse under the law when you travel the wrong way round a traffic circle. 3. Contact the AA and ask if you need an IDP (International Driving Permit) in your destination country. Make sure that your current licence has at least a year before expiry. 4. Travel with your IDP, original driver’s licence and passport at all times. 5. Make sure that your car complies with any seasonal requirements, such as chains for your tyres on the snowy roads in Norway. 6. Don’t set yourself unmanageable driving distances each day, break up your trip into shorter distances and enjoy the journey. 7. If you’re driving abroad, you have to make sure you have adequate insurance on your vehicle. This is especially important if it is your own vehicle. 8. Contact your insurance broker well in advance of your trip and ask what your insurance covers. 9. Consider buying temporary insurance for the duration of your holiday. 10. Look at accident insurance as a separate cost. Having to deal with international law enforcement and insurers could ruin your holiday even for a minor bumper bashing. 11. If you’re renting a vehicle, double check that you have full insurance coverage through the rental company. 12. Make sure you understand the laws regarding insurance of cars, as well as drivers insurance in the country you are travelling to. 13. Make certain that you are covered for the theft of belongings out of the boot of your car. Your foreign registration plates are a dead giveaway for thieves. 14. Don’t just assume that motoring laws are the same. In some countries, you have to carry your car registration papers at all times. Make sure that ALL of your taxes, registration disc and MOT are all up to date before you go. 15. Keep all travel documents in the vehicle while motoring. 16. If you park the car, you should take your motoring documents with you in your handbag. 17. Make sure you have your GB sticker prominently displayed on the back of your vehicle at all times. 18. If you’re going to be driving in a country on the right hand side of the road, you may need to have headlamp converters fitted before you depart. 19. It might be better to rent a vehicle when you’re planning a driving holiday abroad. 20. You can find excellent deals at many international car rental companies that actually save you more money than taking your own vehicle abroad. 21. You’re completely covered by insurance, through the rental company, but always make sure that you take the maximum amount of cover available. 22. You cannot drive abroad in the same way you drive at home. Take steps to drive cautiously and familiarise yourself with the local style of motoring in each country that you visit. 23. Keep calm if you are involved in a small accident. Make sure that you take photographs of any damage to your vehicle and get a local police report for your insurance company back home. 24. Be very aware of the local laws regarding the alcohol limits in a foreign country. A night in a Croatian jail might put a damper on your dream holiday. 25. Service your vehicle before you leave and make sure that there are no niggling mechanical issues that could turn into a major expense while you’re away. 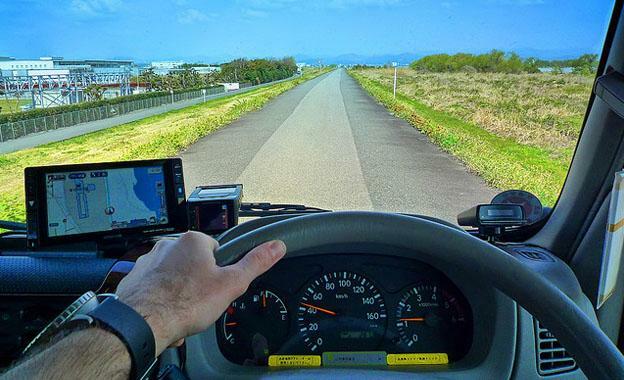 With thanks to VroomVroomVroom for lending a hand with this article, including their tips to getting the most out of driving abroad but staying safe.